Chicago Furniture | Interior Express Outlet Blog: Liquidation Sale This Weekend Only At Interior Express Outlet! 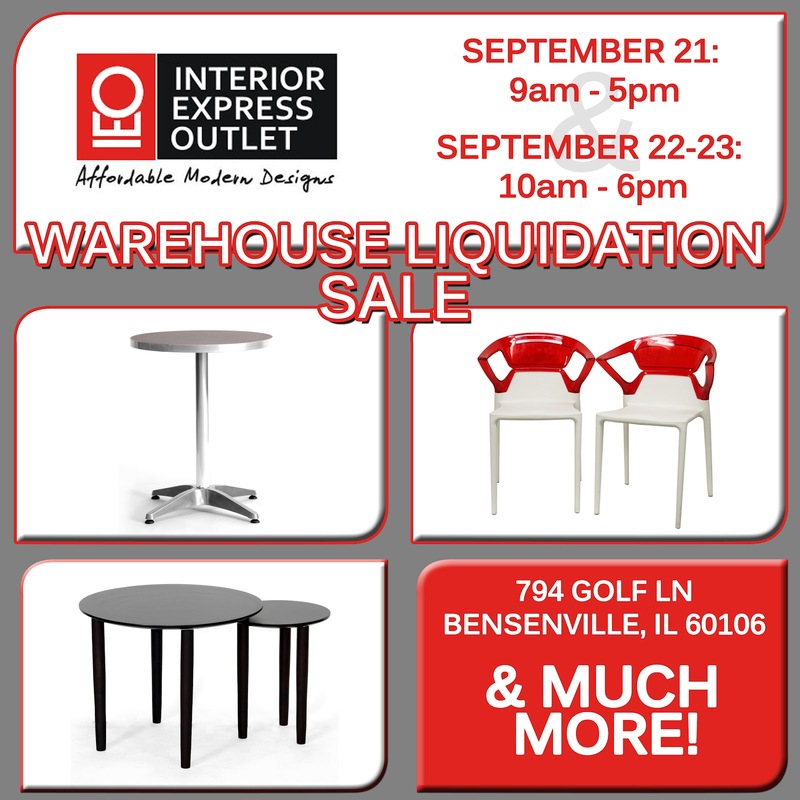 Liquidation Sale This Weekend Only At Interior Express Outlet! Still looking for affordable modern and comtemporary furniture? Look no further! This weekend at Interior Express Outlet we have a wide varity of furniture such as modern furniture, contemporary, traditional furniture, and transistional furniture-some previewed below-at a discounted price! I am in need of modern livingroom tables and the deals are so good I plan on stopping in this weekend to look at furniture for my new apartment! Have a wonderful weekend and, I hope to see some of you at Interior Express Outlet this weekend! A Wide Variety Of Chairs At An Affordable Price!